Beats wanted to steal the spotlight during the NFL draft, one of the most watched sporting moments on TV. To build relationships with the first three draft picks, we emphasized that Beats is all about family. We had players stay home during the draft and take their calls wearing Beats headphones. 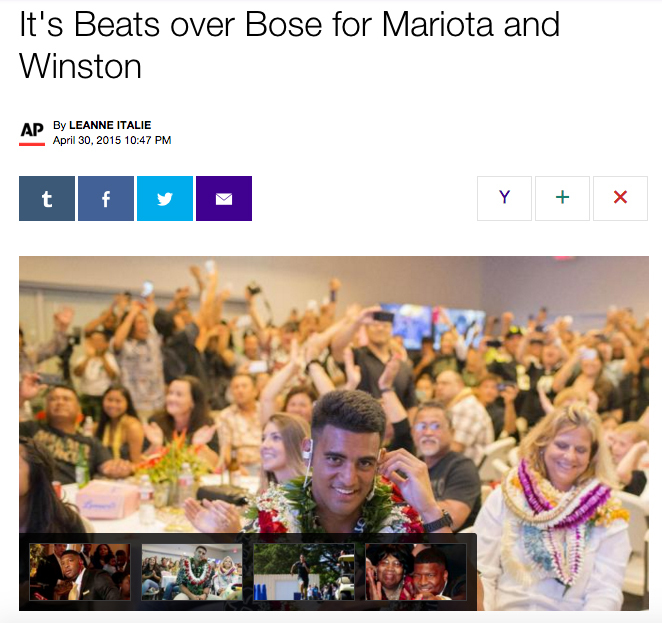 For the first pick, Marcus Mariota, we developed a fully integrated campaign, including a film, welcoming him into the Beats family and celebrating his close ties to his hometown in Hawaii.